A rough sketch of the creature. Don't let the name fool you, this is no ordinary bear. In fact, it may not be a bear at all, but it is called such out of convenience. The Black Bear of Death is a monstrous, shadowy creature who lives in northern regions and preys on its victims on cold winter nights. When the Bear stalks its prey, it first causes the area surrounding its victim to grow unnaturally quiet. Around this time, it also prepares to attack by dimming the area around its victim, allowing itself to move closer through the darkness undetected. The victim can only detect a Black Bear of Death via its red eyes and its large, shadowy body which is said to be smoke-like in appearance. Upon detecting a Black Bear of Death, one should remain perfectly still, not only in body, but also in mind. A Black Bear of Death's primary sense is its ability to detect brain activity. It can also detect its victims via sight, hearing and smell, but to a lesser extent (which is why it quiets the surrounding area before attacking, in case its prey attempts to flee while quieting its mind). Therefore, one who is being stalked by a Black Bear of Death should not move, breathe, or think more than is necessary. Should one avoid being detected by the Bear for a significant amount of time, the Bear will simply lose interest and fade into the surrounding darkness. Various myths exist as to the Black Bear of Death's origins, but there are two popular theories. One theory is that there is an entire species of these creatures, and that they are primal beings who stalk northern areas to dissuade human visitors. The other popular theory is that it is but one creature, a mass murderer given supernatural abilities via supernatural means. 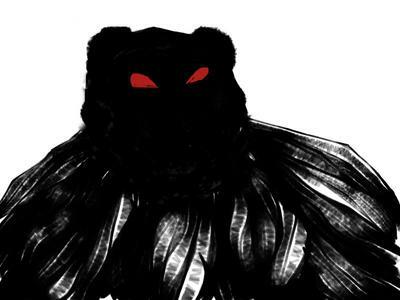 Whatever the origins of the Black Bear of Death, it remains as dark and ominous and the shadows in which it hides. Am writing story and this helped a lot! Thanks Daniel!!! Daniel, sounds so amazing and scary. It's good that it is not real. Thanks, for the tips.